Ricardo Queirós, collaborator of INESC TEC’s Centre for Research in Advanced Computing Systems (CRACS) published a new book entitled "Introdução ao Desenvolvimento Moderno para a Web - Do front-end ao back-end: uma visão global!” (“Introduction to the Modern Development for the Web - From the front-end to the back-end: a global vision!”). 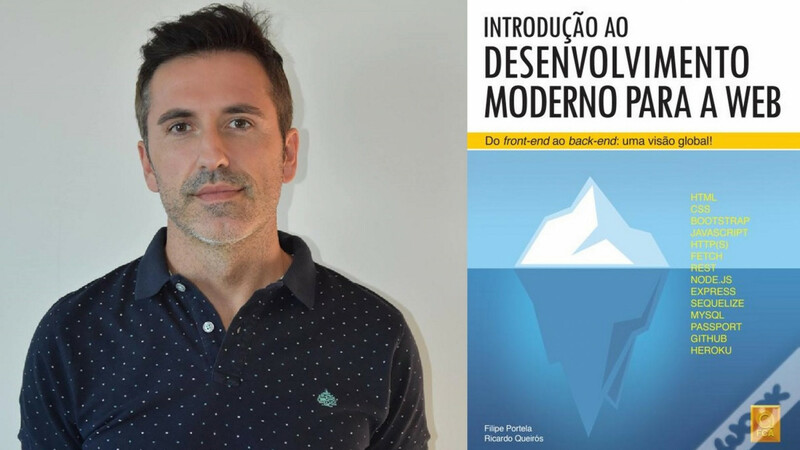 This book, which was written in co-authorship with Filipe Portela (ESMAD/U.Minho) and was edited in November by FCA, focuses on the modern development of Web applications, presenting the basic principles that are associated to programming for the Web, which are divided in two parts: front-end and back-end. The book, which is composed of chapters that can be read sequentially or alternately, is aimed at everyone who has basic knowledge of programming and that intend to enter the world of the Web, as well as those who want to quickly catch up on everything that has been introduced over the last years in this area, namely professors and students of courses and/or subjects of Computer Science, Information Systems and Web Technologies; professionals of technological companies (web programmers, project managers and Web designers); and everyone interested in programming for the Web. The researcher mentioned in this news piece is associated with P.Porto-ESMAD.